315 MHz – Constant Voltage LED Dimmers deliver 65,000 PWM dimming steps to provide ultra smooth dimming performance through all light levels. The dimmers are perfect for energy-saving applications such as architectural dimming, daylighting, load shedding, and manual ON / automatic OFF control. The dimmers may also be used for custom lighting applications. The wireless Dimmer (E3X-D02FP) responds to self-powered wireless light switches, self-powered wireless sensors, wired sensors, and wired switches. 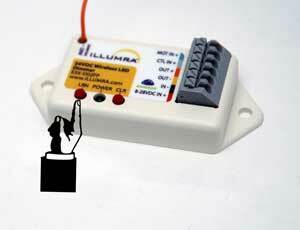 The wired Dimmer (NWO-D02FP) responds to wired sensors or wired control switches. 4) Wait for 30 seconds or Press LRN button on 315MHz for 2 seconds. 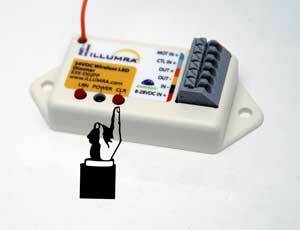 If LED light stop blinking, both Switch and Receiver are paired and ready to use.